KD162D – KNOCK DOWN – DIATOMACEOUS EARTH -3KG – KUUS Inc. 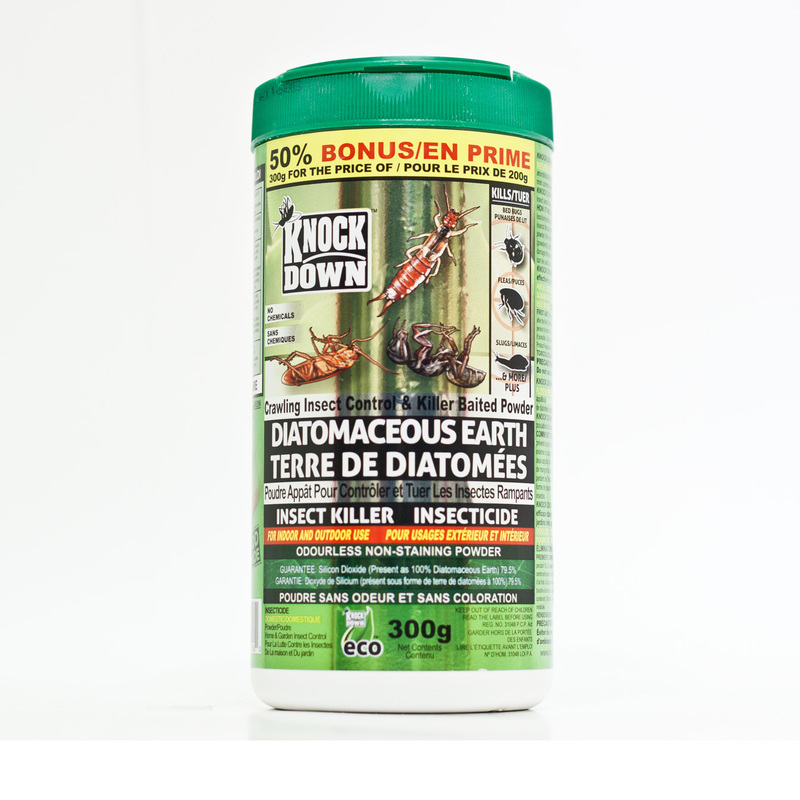 KNOCK DOWN ECO Crawling Insect Control & Killer Bait Powder is formulated using food grade natural fresh water Diatomaceous Earth (DE) and two food grade baits. DE is a form of amorphous silica consists of fossilized remains of diatoms belonging into a major group of algae, one of the most common types of phytoplankton. KNOCK DOWN ECO Crawling Insect Control & Killer Bait Powder kills and controls the listed crawling insect pests indoors and outdoors around homes and gardens.